Time is non-refundable, use it with intention. Take a minute and think about your typical day. Start from the moment you start work to until you call it a day and stop working. If you were to pick apart exactly how you spent each day, how much of it is devoted to actual work? And how many hours go towards distractions? New research has revealed that the average UK office worker is only productive for 2 hours and 53 minutes out of the working day. What is even more worrying is how people spend their time at work. Greater percentage of the respondents said they a lot of time checking social media, reading news sites, chatting, making hot drinks, making personal calls, among other distractions. To change how you work, and get more done in less time, you have to be open to the possibility that your methods aren’t as efficient as they could be. It requires measuring your current patterns to find what works and what can be improved. Once you do that you can look for ways to get more accomplished without just increasing your to-do list. A good first step to increasing your productivity is to create a personal routine that coincides with when you are at your best each day. What worked for Benjamin Franklin in the morning may not work for you. Not everyone is at their best at the same time everyday. Chronotype (individual differences in sleep timing and in preferences) has a lot to do with your energy level at specific times of the day. A study by biologist Christopher Randler found that about 50% of a person’s chronotype is due to genetics. While people can be trained to alter these chronotypes somewhat, there is undeniable value in embracing what naturally works for you. People who share a chronotype, morningness or eveningness, have similar activity-pattern timing: sleep, appetite, exercise, study, work, etc. 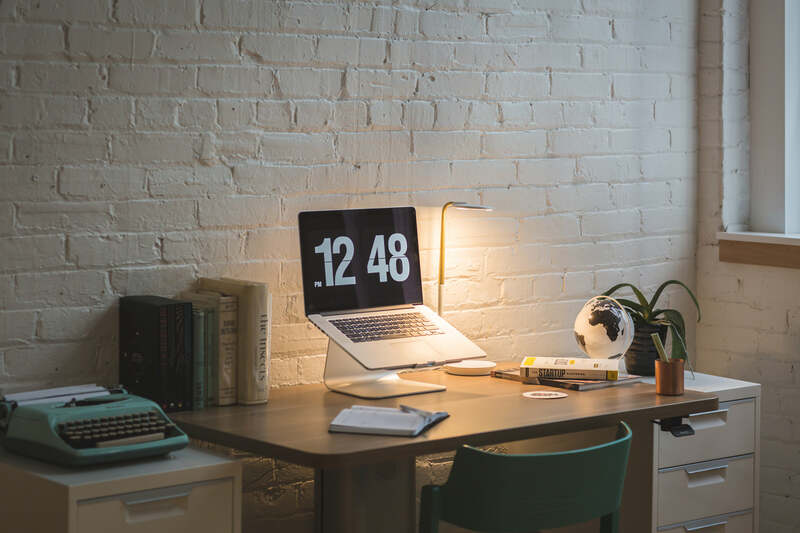 This means that if you are more of a late afternoon worker than an early bird, you are likely better off adjusting your schedule to coincide with the hours when you are most active rather than trying to work against your natural biological rhythm. You probably have a pretty good sense of the time of day when you are most productive, focused or energetic. Most people are productive in the early hours of the day. They do more, work better and get a lot done before midday. I am a morning person, so this advice rings true for me. I do most of my writing work in the morning. I have made this a part of my normal morning routine. Not everyone is at their best in the early morning hours, however. The secret here is to work with your body, not against it. Do you ever wonder why you get more done on Mondays than Fridays? It’s because your tank is full, and you’re able to work at an improved energy level. The most important piece of the productivity puzzle is how you enter the ring? If you are already tired, your body will be of no better use to you when you need it most. It’s totally normal to have off days and to feel burned out after Wednesdays. But if you get enough rest, you will start each day fully prepared to face your list of tasks and even the dreaded frogs. It pays to take time away from work every day by fully unplugging in the evenings, and get a solid 8 or 9 hours of sleep. Don’t underestimate the importance of sleep. Most of us run on far too little sleep, after the daily demands of tasks and meetings. What’s even better for your productivity is maximum rest on weekends where you refuse to check emails or social media updates. It can be difficult if you rarely spend your weekends without your phone and laptop. The good news is, if you can commit to it, you’ll come back with more energy for your work every time. Everything that needs to be done on your master to-do list can be overwhelming. Choose to focus just on the present day, every day, i.e if you planned today yesterday. If you are looking at your master list every morning, you won’t even know where to begin to make progress. Don’t make today busier than it is. Make a list of your most important things before you leave work. Commit about 20 minutes to write down at most five things you want to achieve the next day. Julie Morgenstern, the author of Never Check Email In the Morning, endorses the idea of the nightly to-do list. By creating this list at the end of your day, you will be able to hit the ground running the next morning. Or better still, make a list of everything you want to get done in the week on your master list, and move only a couple of things (high-priority tasks) from the master list to your daily list each night. In addition to clearing priorities in front of you each morning, having a list available also makes it easy to move from a completed task to whatever is next in those priorities. Don’t start your day making a list of things to do when you could be working. Focus on what needs doing today and get started as soon as you are in “work mode”. I am a morning person, so by the time mid-day hits, my energy starts to wane, and I am not likely to do anything I don’t want to do. So I always try and do the hardest or most valuable items first thing in the morning. Energy management forces you to think of results as a function of energy, not time invested. Working intensely for a short period of time can accomplish more than working for days, tired and distracted. You can only do effective and productive work if you know how best to manage your energy, time and attention. When you throw more energy at your work without taking the time to recharge, or refresh, you’re going to run out of fuel and burn out. Without real restoration and rejuvenation throughout the day, your productivity suffers. Breaks your work into manageable tasks, and force yourself to single task on purpose within specific times. And plan breaks on purpose. When you work too hard and throw too much energy at a task, you could burn out without achieving real progress. True productivity is determined by better energy management rather than simply cranking out more hours at your desk. If you experience a 3 pm slump every day, for example, trying to power through it will only do you more harm than good. You won’t be working efficiently, your results will be poor. Instead, during a slump time, try taking a quick walk, or even taking a power nap for 10 to 20 minutes if you can. Getting started is a common hurdle for many people. If you don’t know what to work on first in the morning, you are likely to procrastinate and waste time in the mornings. One way to make it easier to get started is by building a routine that tells your brain and body it’s time to work. Your routine could be a simple process: commute to work, grab a cup of coffee, prepare your desk, have a look at your “today list”, and get started. You could use a trigger to get you into “focused mode”. If you have a headphone, you can use that as a trigger. Once it’s on, don’t get distracted by everything that won’t help you achieve your tasks for the day. You could even have an album or playlist that gets you in the mood to work and listen to that as part of your routine. You are bound to grow weary and lose focus if you sit behind a desk or stare at a screen for eight hours or more. Anyone who has hit that 3pm wall can attest to this. Research has shown that short breaks taken regularly resulted in a 16% improvement in focus. A study by Peretz Lavie shows that longer sessions of productive work, followed by short breaks of 15 minutes or so, sync with our own natural cycles. This sync helps us maintain focus throughout the workday. It’s critical to take breaks and let your brain rest after a long session of work. When you break to refresh for new tasks, you’ll come back recharged and ready to achieve greater efficiency. A growing body of evidence shows that taking regular breaks from mental tasks improves creativity and that skipping breaks can lead to stress, exhaustion, and creative block. Having more time for work does not necessarily means you will get more done. In fact, studies have shown that having a limited amount of time actually does increase the speed of your work. Think about it: When you have all morning or afternoon to finish a task, you will get it done, but you’ll also probably get up for a coffee break, check email or social updates every now and then. But if you only have an hour to get something done you’ll dive in and power through it. Forced deadlines work especially if you have a lot to do. If you’re working on a tight deadline, great — you’re probably at an advantage when it comes to getting in the zone. But if you’re not, think of ways to set one for yourself. Set timer if it helps. Setting a timer can change how you work. A constant reminder that your “deadline” is approaching can force you to focus. When you build better routines, manage your energy, and work with your body instead of against it, you will complete work in less time, get more done each day, waste less time, find more free time, take control of your day, and lower your stress. Knowing how to prioritize and complete the work that matters the most on a daily basis can make you more effective, and efficient. This story is published in The Startup, Medium’s largest entrepreneurship publication followed by +418,678 people.